Hello! Welcome to Daydreams of Quilts. 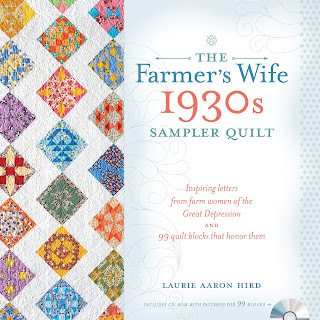 If you are visiting today from the Farmer's Wife 1930's Sampler Quilt - Quilt Along hosted by Gnome Angel and the Fat Quarter Shop I am so glad to have you here. I am very happy to bring you my first tutorial in the Quilt Along - Block 80 "Patricia". This was a nice simple block and my approach to my Farmer's Wife blocks has been to keep it simple and try not to over think it. Here is how I made this block. I first knew that I wanted a fussy cut in the centre of the block so I looked at my fabrics to find something that would fit nicely in the centre square. This strawberry looked like it would fit right in nicely. When cutting your piece try to move your ruler and not your fabric. Cut slowly and carefully double checking that your fingers are safely away from the ruler edge as sometimes it can be awkward cutting all the sides. Or, use a rotating mat if you have one to turn your piece without lifting your fabric. For the triangles I was not as concerned about fussy cutting so I just folded my fabric into four layers and placed my triangle template from the book on top to cut in the same way I cut the square by putting my quarter inch line on the solid lines of the template. This way I got all four triangles cut at once. Layer your fabric to cut multiples of one shape. Lay out your pieces to match the layout in your book. It may be helpful to snap a photo of your layout with a digital camera or phone so you can refer to it while sewing your block together. When there are several of the same element in a block, in this case the half square triangles in the corners and the two rectangles on the sides, I like to chain piece to save a bit of time and thread. In order to keep from getting mixed up with how I originally laid out my block I take a digital photo to refer to as I am sewing pieces together so I can put them back where I wanted them after picking them up to chain piece. After chain piecing this block becomes a simple nine patch block to put together. Once you have your triangles and rectangles sewn to each other this block becomes an easy nine patch. I pressed all my seams to the yellow fabric. When the rows were pieced together I pressed the top and bottom rows towards the middle and the middle square towards the outside of the block. This creates nesting seams when putting the three rows together. Block 80 finished. That was a piece of cake! A piece of Strawberry Shortcake. Or Lemon Meringue Pie. My block made me think of Strawberry Shortcake and Lemon Meringue because of the colours of the fabrics. I got the "Strawberry Shortcake" theme song stuck in my head while I was sewing. One of the perils of being a mother to little girls. "No task is too tall for Straw-ber-reee Short-cake"- not even Farmer's Wife blocks. Thank you for visiting my blog today. 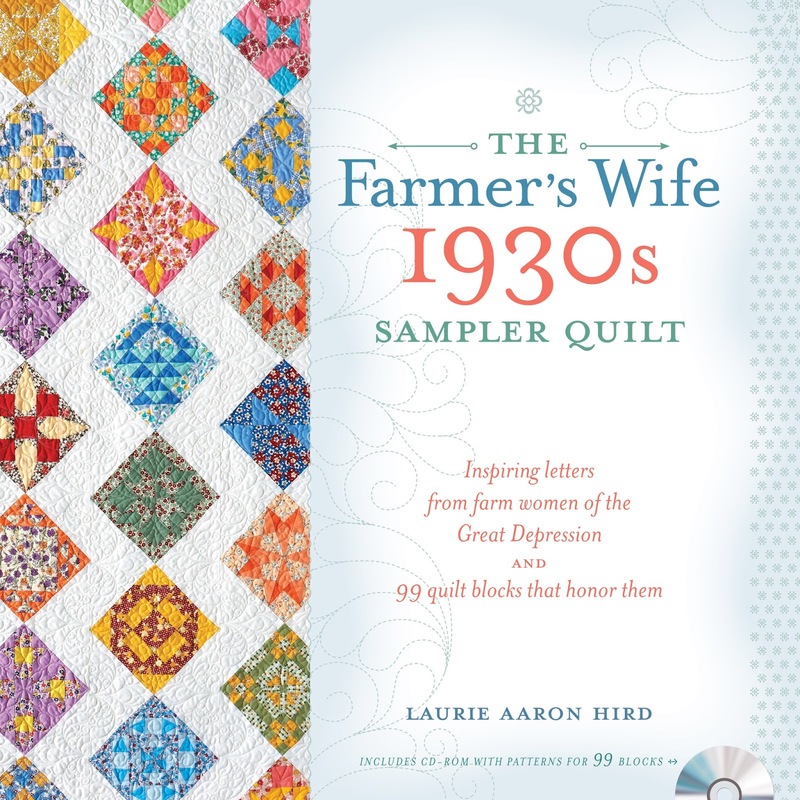 Happy Sewing and Farmer's Wife-ing!